An energy producer from Canada’s oil city says that with the help of the federal government it will install electric-vehicle charging stations across Alberta. 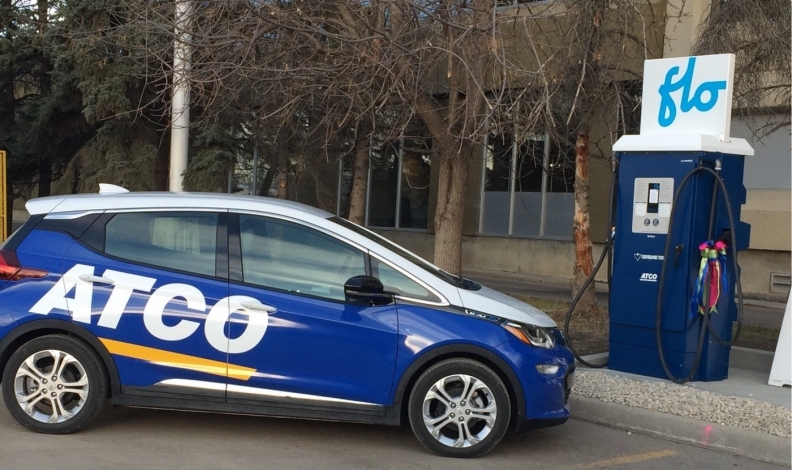 Calgary’s Atco Ltd. will install the chargers at Canadian Tire Gas+ locations in Calgary, Red Deer and the greater Edmonton area. The sites will be located close to Highway 2 exits and near amenities like rest areas, shops or restaurants. Highway 2 is the province’s major north-south route that connects the Canada-U.S. border in the south to Athabasca in the north. Natural Resources Canada is also contributing to the project, called the Electric Vehicle Universal Fast Charge Corridor, through its Electric Vehicle and Alternative Fuel Infrastructure Deployment Initiative. Ottawa has committed $62.5 million to fund new fast-charging infrastructure across Canada. Each new Alberta location will be powered by Atco energy and equipped with a Level 3 fast-charging station and a dual Level 2 charging station to accommodate all types of EVs. "Our energy landscape is changing, which is why we are investing in infrastructure,” Wayne Stensby, managing director of electricity for Atco, said in a statement. As of March 31, Alberta had 377 registered battery-electric vehicles and 16,678 registered plug-in hybrid vehicles. The numbers give Alberta the fourth largest EV fleet among Canadian provinces after Quebec, Ontario and B.C. Those three provinces offer financial incentives to consumer who buy new electric vehicles; Alberta does not. All the Atco stations will be connected to the FLO national charging network operated by AddÉnergie, a Quebec company that already has more than 4,000 charging stations from coast to coast. "The availability of reliable charging infrastructure is a key factor in driving electric vehicle adoption," FLO CEO Louis Tremblay said.